Alpha Delta Phi - ΑΔΦ Fraternity at University of Virginia - UVA 2.4 ANC Jan 19, 2016 8:55:59 PM Nice guys, but weird. Not very involved. Nice guys, but weird. Not very involved. Alpha Delta Phi - ΑΔΦ Fraternity at University of Virginia - UVA 3.2 Decent Jan 11, 2016 5:09:29 PM Have actually been around for a few years. Chill guys, have more of a house party vibe to their events. Have actually been around for a few years. Chill guys, have more of a house party vibe to their events. 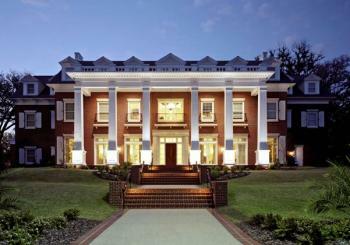 Alpha Delta Phi - ΑΔΦ Fraternity at University of Virginia - UVA 2.8 Relax Jan 11, 2016 2:12:01 PM Bottom tier; will be doing rush for their first time this year. Bottom tier; will be doing rush for their first time this year. Alpha Delta Phi - ΑΔΦ Fraternity at University of Virginia - UVA 2.2 lol Jan 9, 2016 3:38:35 PM New this year. Looking forward to seeing what they can accomplish during rush. New this year. Looking forward to seeing what they can accomplish during rush.